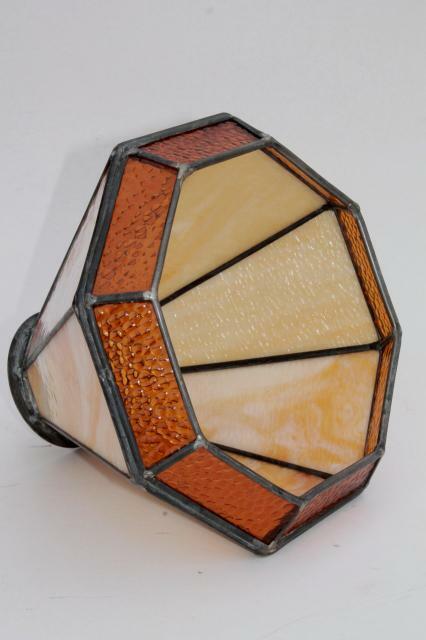 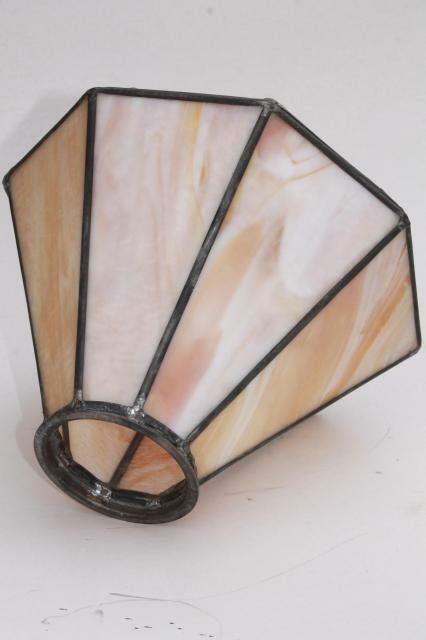 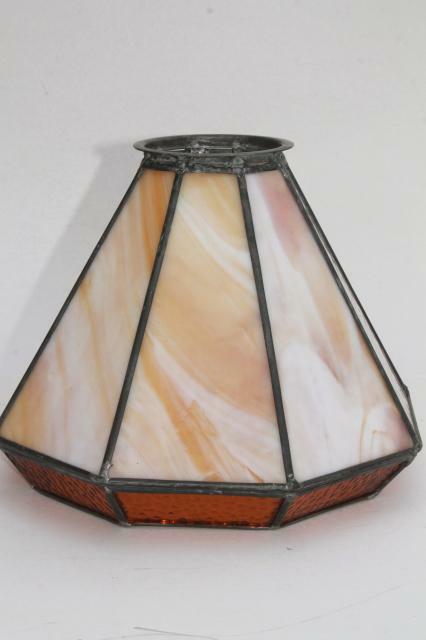 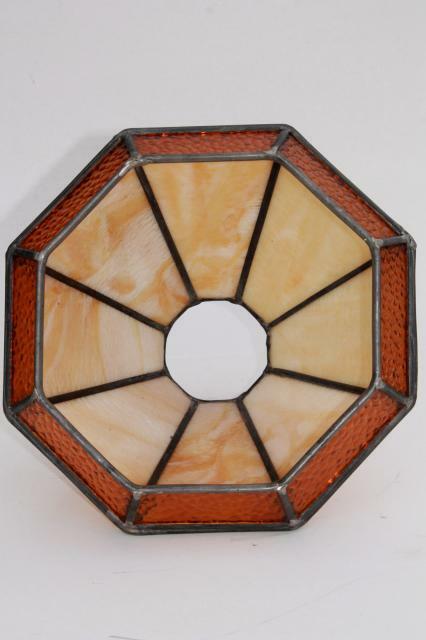 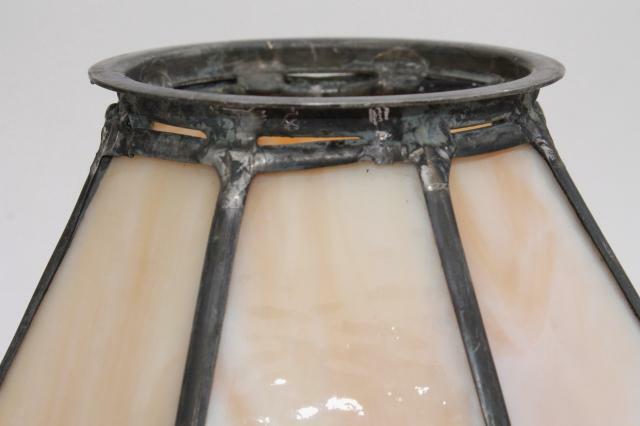 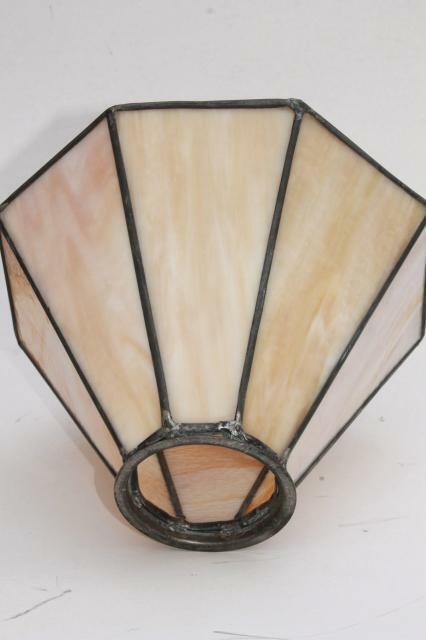 70s vintage leaded stained glass shade without wiring, in excellent condition without breaks or cracks. 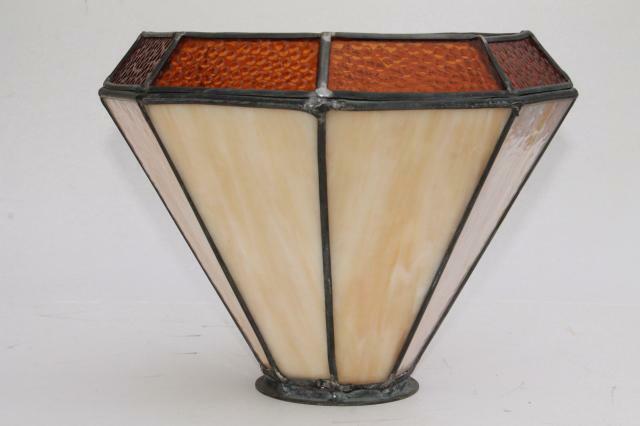 It's a beautiful pale caramel slag color, with amber glass around the bottom. 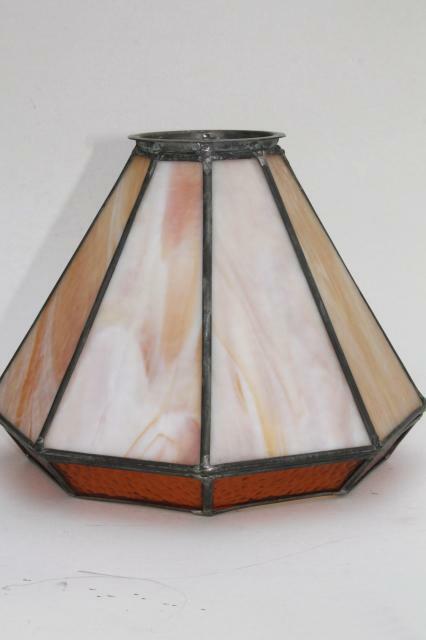 This measures 9" tall, and about 11" in overall diameter. 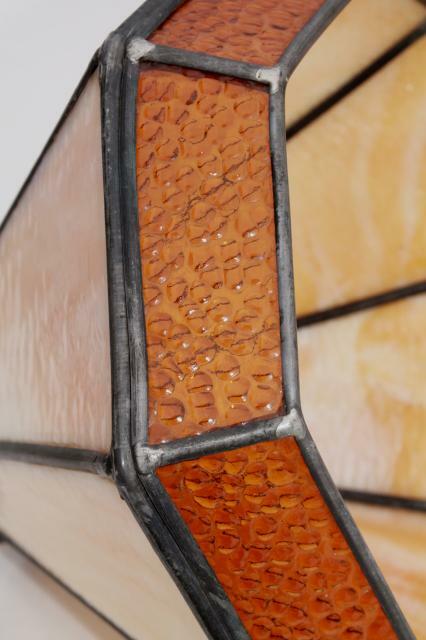 The large opening is 9" across, the small (top) opening is 3" across, and it's 4" across the metal fitter.